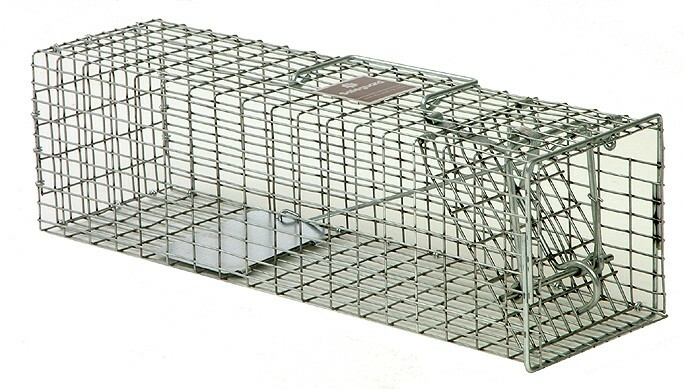 TRAP DESCRIPTION: Made for the commercial trapper, this trap measures 5" wide x 5" tall x 18" long. Its easy to set and is built to last for many years. It has the small 1/2" by 1" mesh metal wire so its tight design can securely hold flying squirrels and other small animals. Its super durable, well designed and great for the yard or attic. WHERE TO USE IT: Anywhere activity is present. This could be in the yard around animal burrows, under a tree or bird feeder, on a deck, up in the attic or even inside living areas. Basically anywhere you've seen them active or where you know they might be nesting. RATE OF APPLICATION: Although one trap may be sufficient when dealing with less then five animals, set out more for faster and quicker results.